The students in B5 have friends and family all over the world and we'd like to connect with you! We're getting some special postcards printed and we'd like to send you one. We'd also love to receive some. 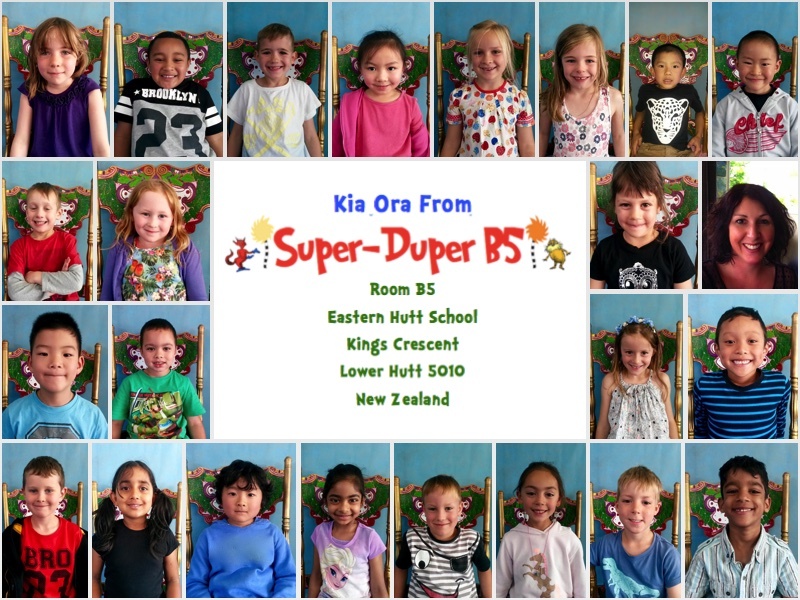 Last year Mrs P's class received over 110 postcards, even one from our Prime Minister John Key and one from Antarctica! Each time we receive a card we will look on a map and work out where it comes from. The pictures and the writing will be great learning opportunities for us. Sending you cards will be great writing practice for us too. 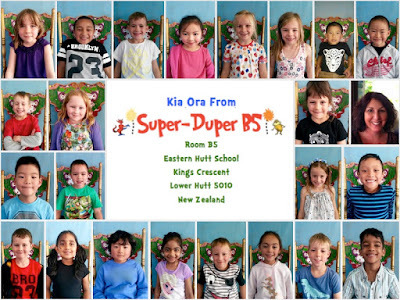 Post cards can be addressed to: Room B5, Eastern Hutt School, Kings Crescent, Lower Hutt 5010, New Zealand. If you'd like our class to send you a post card, wherever you might be, please leave your name & address in our comments section below (all comments are moderated so we will not publish any personal details). As soon as our cards arrive from the printer, we'll send one off to you. We are excited about this post card project ... we wonder how many we might receive before the end of the term? And where they might come from? Feel free to share this post. It would be great to have some new readers to our super-duper blog and receive some more post cards. Thank you. Sheri and Peter, Thomas's grandparents. What a marvellous idea! We would love to join in the fun and look forward to receiving a postcard soon.